The importance of having a personal brand has never been greater. Without one you will struggle to get top jobs, your business will be at a disadvantage and your expertise will go to waste. The good news is that you can build your personal brand while doing what you love and it won’t cost you millions. Entrepreneurs like Gary Vaynerchuk, Peter Voogd, Neil Patel and Tim Ferriss are prime examples of the power of a personal brand. Their personal brand is not solely responsible for their great success, but you better believe it played a major role. Now that you are hopefully convinced about the necessity and power of a personal brand, let’s dive into the steps to creating a personal brand. This should be the easy part, but make sure you take it seriously. Figuring out what you are truly passionate about is the most important aspect of creating a personal brand. Until you have figured out your passion, the rest of the steps below need to wait. A common mistake people make is assuming that their current job must be their passion. It certainly could be, but make sure you do not just accept it as your passion without truly reflecting on it. You might be an accountant, but your passion could be grilling or travelling. If this is the case, it is time to brand yourself as the best grill or travel expert in the world. 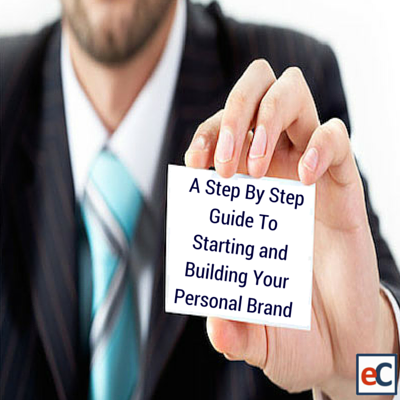 Be careful when deciding what to build your personal brand around. If you are not truly passionate about it, you will eventually run out of energy/desire to keep it going. WordPress: This is by far the most popular tool for creating a blog. What is so great about WordPress is that nearly everything is free and it requires very little technical skills. By choosing from different themes and add-ons, you can create a highly professional looking and functional blog page. For information on how to get started with WordPress, click here. Tumblr: Though WordPress is fairly simple to use, Tumblr takes simplicity and ease-of-use to another level. Tumblr is perfect if you are looking for an easy way to share your thoughts and are not concerned about being able to customize your blog. For information on how to get started with Tumblr, click here. Call-to-action (CTA): Every blog post you write should have some sort of call-to-action. This could be simply asking for comments relating to the topic you wrote about. You should also consider having several CTA’s included in the design of your site. One of the most popular ones is a place for readers to subscribe to your blog. This is achieved by entering their email address, which you will then message every time you post new content. Social share buttons: If you want people to share your content, make it easy. Adding share buttons to your blog allows readers to share to their different social networks with 1 click. Make sure you locate them somewhere that is easily visible. Connect with me buttons: Are you active on social media? Make sure to advertise this on your blog page! WordPress has several great plugins that make sharing your social accounts easy and effective. Making it easy for readers to connect with you will help you to grow your social media presence, while providing you with another way to get your content in front of potential readers. Social media and blogging rely heavily on one another. A comment section: This sounds like a no-brainer, but many blogs do not have a place for readers to leave comments. This puts you at a major disadvantage because your communication is only 1 way. Feedback from your readers will help you to improve your content, brainstorm new ideas and build lasting relationships. Which social network is the best for personal branding? We get this question a lot and our answer is always simple: “wherever your audience is.” It really is that simple. Your goal when creating a social media presence is to be where your target audience is, so you can connect with them and build relationships. If the majority of your target audience is on Facebook, then you should definitely create a Facebook account. If your target audience is affluent business people, then LinkedIn is the place to be. Figure out where your audience spends their time and make your presence there known. Avoid joining every social network there is in hopes of playing the numbers game. This strategy simply does not work. Tip: make sure you set up a Facebook Page instead of using a personal profile. You should have both, but your Facebook Page will allow you to have more than 5,000 friends. So you know where your audience spends their time. Now it is time to create a social presence on these sites. Managing multiple social media profiles can be difficult, so consider using a social media management tool like eClincher. Having high quality profile and header images is extremely important. Human beings are extremely visual, so make sure you make a good first impression. Notice below how marketing expert Peg Fitzpatrick uses her header image to promote her book, The Art of Social Media, and to draw attention to her Shop Now button. The information you include in your bio is crucial. For many people, this will be how they get an idea of who you are and why they should connect with you. A great bio is informative, unique and expresses your personality. If it is fitting, adding humor can go a long way. Finally, make sure to include links to your blog and other social sites. If possible, use the same handle on every social network so it is easy for your community to connect with you everywhere. Tip: Rewrite your bio frequently to test what works best for attracting new followers. Also, make sure your bio is up to date. There is nothing worse than a Facebook or LinkedIn profile that makes you seem less experienced than you truly are. Have you ever told a lie? If you answered no you are lying. Now at first telling a lie is easy, it sometimes is even easier than telling the truth. However, over time a lie can become quite the burden. You are forced to remember your lies and you always run the risk of getting caught. The same is true when it comes to building your personal brand. Simply put, do not try to portray yourself as someone you are not. It is not a sustainable strategy and people will quickly realize you are not being authentic. If fact, marketing expert Neil Patel believes that being unique is the key to a powerful personal branding. Content is how you are going to attract your audience, prove your expertise and monetize your actions. It is important to figure out what form of content will allow you to shine. Gary Vaynerchuk grew his personal brand primarily through the use of videos. Tim Ferriss has a popular podcast. Neil Patel chooses to focus on written content. All three of these entrepreneurs have found great success because they identified which form they were best at and they committed to being the best at it. Oh how things have changed. Not long ago getting in contact with a major influencer in your industry was nearly impossible. It required connections, tools or money. Now, simply look them up on Twitter and shoot them a tweet. Ok it might not be quite that easy, but influencers are now accessible and you can benefit greatly from forming relationships with them. The best way to connect with influencers is to follow them on social media and begin interacting with them. This can be in the form of likes, shares or direct conversation. Before approaching an influencer about a something business related, try to interact with them casually. This way your first interaction with them isn’t you asking them for something. Even better, offer to help them out first. Influencers are used to being asked for help, but it is much rarer that someone offers to help them. The possibilities are endless, but it all starts with forming a relationship first. When it comes to growing your personal brand, forming relationships with influencers can be very valuable. Just remember that if you succeed in building a strong personal brand, you will be considered an influencers as well. In a world where most communication is done online, meeting in person can be what it takes to separate yourself from the pack. Bonus tip: As you build your personal brand, try to secure speaking opportunities at networking events. This will help you to grow your online audience and to position yourself as a thought leader. It could even lead to paid opportunities in the future. Getting paid to speak about your passion. Does it get better than that? One of the hardest parts of getting started with blogging is building up an audience. At first, your blog typically has only a few viewers (your mom, one of her best friends, etc.). Guest blogging is a great way to get the exposure you need to start growing the viewers on your own blog. By leveraging the audiences other bloggers have already built, you are immediately seen my significantly more readers. Figure out what some of the best blogs are in your niche and contact them about guest blogging opportunities. We recommend including several potential topics in your email, so they can see that you are truly interested. Make sure that the blog’s audience aligns with your own, so you can maximize your conversion rate. Also, be sure to include your social media handles if they ask for a short bio. Bonus tip: After you write a guest blog post, pay very close attention to the comment section for the next couple weeks. Respond to every comment, as these are people that could soon become vital members of your own community. We have all heard the saying: “Rome wasn’t built in a day.” Well, either is a personal brand. It isn’t built in a day, a week or even a year. If you are looking for a quick way to the top, there simply isn’t one. Embrace the small, daily increases and focus more on helping others. The more people you help, the bigger your following will grow. As stated above, building a community has to be your main goal. The beauty of beginning your personal branding journey is that it is very easy to interact with each and every person in your community. As you grow however, this begins to become more time-consuming and/or down-right impossible. Gary Vaynerchuk recently said in one of his #AskGaryVee episodes that the thing he misses most is being able to interact with everyone in his community. His personal brand has grown so much that it simply isn’t possible for him to do this anymore. Luckily, unless you are a personal branding superstar, you will be able to maintain consistent communication with your audience. When you are first starting out, building a loyal community should be your only goal. The best way to do this is to help your audience. You help them by answering questions, creating valuable content, sharing their social media posts, etc. When you help people for free, they will eventually line up to help you. As you can see, building a strong personal brand is necessary, attainable and rewarding. If you are planning on starting next week, start today. There really is no perfect time to start, so stop waiting and start working. It should be fun. It should be difficult. You will make mistakes. But ultimately, you will learn a lot, meet many new friends and hopefully make some money along the way. What are some of the ways you have built your personal brand? Let us know and we can add them to this post!